Everyone starting to get a little "hurry up with the holidays already"? Mid December, my energy starts to wane a bit. In part, because Christmas is not the holiday of my people, and I begin to lose my heart-warmed fascination with the twinkle lights and generousity of spirit, and I start to go all "Really? With the flipping Christmas music 24 HOURS A DAY, really?". It matters not that my people wrote and recorded some of the best holiday tunes, there are only so many times one wants to hear Barbra do White Christmas. I want to be able to go to the grocery store without being accosted by red suited fat men in beards wielding bells and buckets asking for my spare change, and go back to being accosted by plastic bag suited skinny men in stubble wielding windshield solution and rags asking for my spare change. I try so very hard not to let the Humbug take hold, especially since I do get the anticipation of spending Christmas Eve watching Amazing Goddaughter open her presents with true wonder and loud exclamations of delight, and Christmas Day with some of my other favorite Gentiles, Officer K and his family, with the Christmas ham and all the trimmings. Yum! Holiday cheer! But those wonderful celebrations that bring me back to the place where I love and appreciate this holiday that isn't mine are still a week and a half away, and I've been listening to freaking Sleigh Ride since Halloween! Which means I need a moment (or five) of Zen. If you are also having your patience a little frazzled- whether it is anticipating hoardes of relatives descending upon you, or the frustration of not yet being able to find the last Zhou Zhou Dream House or whatever your kid needs to prevent Xmas Morning Meltdown, or if you too are not of a background that includes Xmas as one of its holidays and are really sick of having someone elses stuff foisted upon you everywhere you go- here are my five best tips for regaining balance. 1. Tea. Really good tea, made in a small pot, and served with milk and real sugar, in a pretty tea cup. With some cookies on the side. I put it all on a little tray, and snuggle up in a cozy chair in my front window, a wrap around my shoulders and a good book in my lap, and for an hour or so, I just read and sip and take little mouse-like nibbles and let everything get back to even. Their winter collection, warming and yummy. The perfect crispy spicy cookie to go with tea! 2. Bath. Hot bath. Long bath. With candles. And double bubbles. And by double bubbles, I mean bubbles in the bath and in my glass. I guarantee you that a long soak in fragrant water with a glass or two of champagne (preferably pink!) will lift your spirits tremendously. Open that bottle of sparkles that someone brought to your last party. Or pick up something special for yourself. Gruet makes a very affordable and delicious sparkling wine, and yes they have pink, and they also come in half-bottles. Remember you are trying to mellow out, not get schnockered. I like stemless flutes for bathing, less likely to have a tip-over incident. 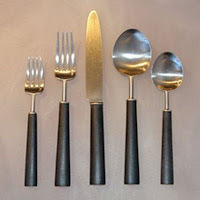 These are also great for parties! For the most delicious smelling candles, I go with Kobo ! 3. Buttered Egg Noodles. Seriously, I don't know why, but they always make me feel better. I like the extra wide ones, but use whatever you prefer, or any other pasta you like, what matters is that they are slicked with the barest hint of really good butter and some salt, in a bowl on my lap. I resist every urge to gussy them up with lemon zest or chopped parsley or cheese, and remind myself that what will make me happiest is just the simplest bowl of childhood comfort food. Plugra is my go to butter. And it does make a difference. 4. Eloise. Yes, the kids book. Eloise is what works for me, but you can grab any of your own childhood faves. I am instantly transported to when this time of year meant winter vacation and no school and plenty of time to read and presents and everything wonderful. Eloise is my go-to girl. I still want to be her when I grow up. The Little House series always made me feel better, especially since I was not living on the prairie trying to keep warm in front of a wood-burning stove. The Phantom Tollbooth is one of those books that actually can become even more meaningful when you come back to it as a grown up. The Once and Future King sparked a lifetime love of all things Camelot. 5. List making. I know that list making doesn't really seem like fun, or particularly calming, but I don't mean the traditional lists that you have to make all the time for errand-running or grocery shopping. I mean hopeful lists. Wish lists. Pretend you are a kid and it isn't inappropriate to create a totally materialistic list of stuff you long for lists? Make a list of places you want to travel, or adventures you want to have. Think bucket list. Partnered? Make a list of all the things you want to do or see with your sweetie. Single? Make a list of everything you want your future honey to be. Dream big, be honest, and take the time to fully indulge in the fantasy. Yes, winning the lottery is a valid dream, I have all kinds of plans for when I do. And no, World Peace and Cure for Cancer are not for these lists. These need to be personal and self-indulgent. IPad. Need I really say more? 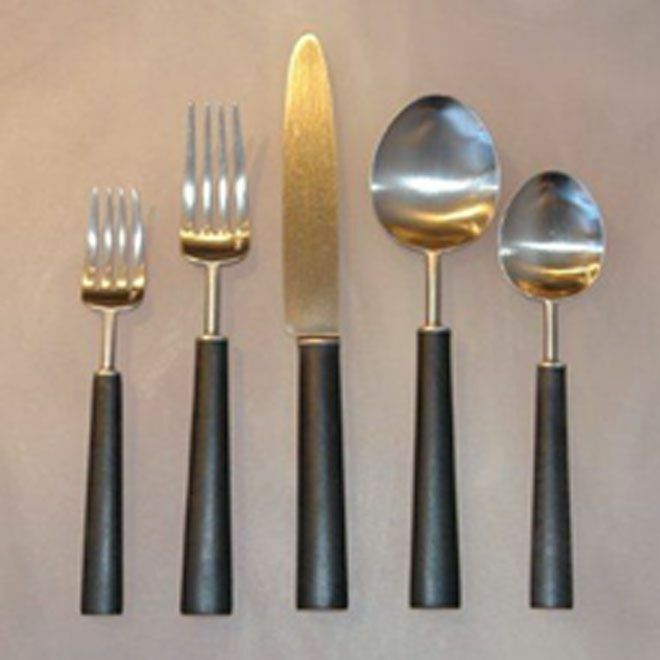 Cutipol Ebony Flatware. I want twelve placesettings of this like I want air. Charming Suitor and I first saw this stuff in Montreal, and both of us immediately fell in love with the line from Portugal. Both casual and elegant, and beautifully made. Yum. 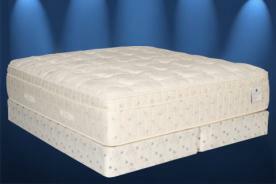 Queen Size Serta Perfect Day Waking Hour Mattress with Mega Euro Top. Matress of the Gods. The tallest, squishiest, most cloudlike mattress EVER. I own my Princess and the Pea tendancies, and this bed is insanely amazing. Thermomix TM31 This machine defies description, but for simplicity, lets just say it is a blender that cooks. It also makes risotto. And purees of things that have a texture so ethereal it is like a mouthful of velvet. They won't sell them in the US, but the Canadian ones have the same plugs and I'm desperately trying to finagle one. Also? I might have to hock a kidney, since these puppies cost more than all my other small appliances combined. Some other things? I want my books to go all bestseller, I want someone to option them for film and television, and to rake in eleventy million dollars. I want to buy my building and convert it into a single house and hire NY Penny to help me and Charming Suitor make it the coziest most beautiful place on the planet. I want a little house in France where Charming Suitor and I can hole up for a couple of months a year, meeting quirky locals and eventually being embraced by the community. I want to never ever get another piece of Spam mail. I want some doctors to discover the key to long life and health on a total pasta and chocolate cake diet. I want everyone I love to get everything they want too. Okay. I feel better. I think I can get through the next couple of weeks. Too damn true, darlin'. Excellent suggestions on therapy - of course, retail therapy works (that's how I skate through life). I love to re-read books from my childhood. I usually reach for "The Westing Game" or an "Anastasia Krupnik" book. Those are my favorites. A Vitamix is also insanely expensive and purees broccoli steamed in chicken broth into a lovely velvety puree. It does the most amazing frozen drinks too, a la Jamba Juice, no slushy icy watery stuff but perfectly broken down ice into microscopic particles. Might replace your dream blender, and is available in the US. I wouldn't have spent the $500 but got use-ies on my MIL's and that's good enough for me! See I feel the opposite, when I am trying to mellow, I want to get schnuckered. White wine & a hot bath with Kiehls bath salts = amazing. I've recently been hit with the winter BLAH's (normally reserved for jan/feb-but mother nature is throwing Chicago a wintery curve ball!) which have been combined with the holiday stress. Last week while at Norstrom Rack, I picked up some great spa accessories... exfoliating gloves, a gel mask, pumice stone/brush, body oil and those socks you put on after you've slathered your feet in lotion before bedtime. The expense was pretty small ($15ish) especially when compared to how awesome it made me feel after giving myself a spa night at home! * an indoor grill. Not an electric george foreman-esque grill... the kind with flames that's built into the stove! * an endless supply of FF miles that can get me home to Texas at a moments notice. Sometimes nothing in the world can make me feel as great as the hugs and giggles of my niece and nephew! or winning the lotto could solve ALL of the above! I'm seconding the pasta and chocolate cake diet! 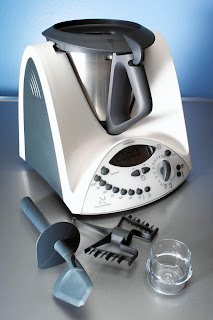 Don't worry about not being able to buy a Thermomix... You are NOT missing anything. I have friends who are originally from Canada who fell in love with the Thermomix when they saw the ads. They arranged for family back home to buy it and then ship it to them in the US. They had HUGE hopes for it, but unfortunately it didn't come close to living up to their expectations... They tried and tried using it different ways, and never were happy with the results. They ended up using it as a VERY expensive blender, before retiring it to a high shelf in their kitchen closet.